BUILDING more houses has failed to drive down prices in areas of high demand, startling new figures reveal. The average price paid for a new home has risen by almost 60pc in some parts of the country, despite hundreds of units being built in these areas last year. The new revelations run contrary to the Government insisting that increasing output would stabilise prices and give working families the opportunity to buy their own homes. A detailed analysis of Central Statistics Office (CSO) data by the Irish Independent reveals a host of trends. They show: The average price of a new home in January 2018 was €324,999, up 10.2pc compared with the same month of 2017; Investors paid an average of almost €217,000, compared with €314,999 by a first-time buyer a difference of more than €98,000; Despite supply increasing, prices rose in 54 out of 80 Eircode areas where information was available; In areas where 200 units or more were built in 2017, prices rose in 13 and fell in five. The sharpest increase was in Cork Southside, where prices were up 57pc. The steepest fall was in Swords, where prices fell by 20pc. These figures are based on the average price paid for a new dwelling in January 2017 compared with January this year. They are a snapshot in time and include both purchases of houses and apartments, although they do not go into further detail about how many properties were sold during those months. The figures suggest that prices show no signs yet of stabilising. Architect and UCD lecturer Orla Hegarty, who has repeatedly queried official data on house completions, said a rise in housing output would not drop prices. “The price of new houses drifts up and down with general property prices. If a house in Dundrum sells for €500,000, and you build a new one, you’ll sell it for €500,000. “The more they build, the more people buy. It’s a way of storing wealth. “Builders are chasing the premium product, like student housing or infill developments in south Dublin. “They don’t need to get into the mass-market stuff. 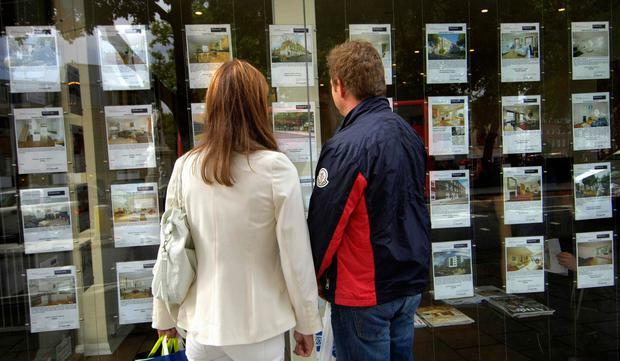 Architect Orla Hegarty warns house prices will not drop they would do other things.” The data also shows that pension funds and cash-investors are paying an average of 100,000 less for a new home than first-time buyers. This trend may be limiting the ability of ordinary families to compete in areas of high demand including parts of Dublin, Galway and Cork. The reasons why investors enjoy lower prices is due to the precarious financial position of some builders, sources suggest. Finance is expensive, and investors often buy multiple units at a time, which provides financial certainty. It also meant the builder did not have to incur the cost of developing a show house, or fund marketing and legal fees on the sale of properties. The latest revelations come after new data from the CSO this week lifted the lid on exactly what is happening in the housing market. The official statistics body revealed that the number of homes built between 2011 and 2017 had been over-stated by more than 60pc. Government figures, based on the number of units connected to the ESB network, had suggested that 85,154 new homes were completed. But the CSO said this included farm buildings, mobile homes, vacant properties and units in ghost estates. The correct figure was 53,578. Last year, a total of 14,446 units were completed. This compares with official figures of 19,271. This total also includes one-off single units, most of which will never be offered for sale. Next articleFor the love of the Midlands: Can Hidden Heartlands win over a new breed of tourist?